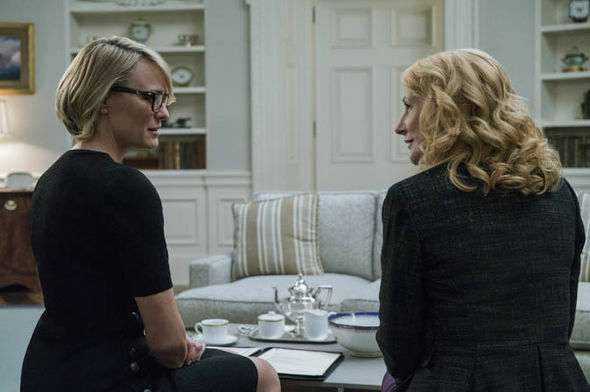 The next four episodes of House of Cards season 5 shift the series back to some normalcy – the Underwoods being in control. But new adversaries and old sins are on the horizon, threatening the entire Underwood legacy. Claire and Frank are at odds concerning Mark Usher when a terror the White House. ICO allegedly threatens an attack if the U.S. pursues their leader in Damascus. Solving this issue introduces us to Jane Davis, an expert of sorts. More digging reveals the threat is a coup orchestrated by a Brockhart loyalist. Meanwhile our sleuths are busy picking up pieces from Frank’s carnivorous trail. Tom is joined by a new assistant, Sean’s girlfriend Angela, mapping out Zoe Barnes’ notes. They discover Rachel’s last known address was about a 15-minute drive from the area Doug Stamper was viciously carjacked. Episode eight finds Frank attending an Illluminati-esque gathering entitled Allegion Field. The conference gathers the nation’s most powerful men to the great outdoors. Here Frank spars with old friend Raymond Tusk and Will Conway’s brain trust; Will is not in attendance. Frank discovers Conway will be replaced for Brockhart on the ticket. And Will’s friend drunkenly submits a damning soundbite, silencing any chance for a Conway victory. Frank relays this back to the White House who is experiencing its own dilemma. Claire and Jane work to reach a tariff deal with China when a Russian ship near the Arctic Circle wrecks, trapping its occupants. Rumors of an American onboard prompts Claire to rescue the crew in exchange for Aidan Macallan’s return. Petrov refuses. The Chinese’s interest in the endeavor forces Claire to question their motives. Jane informs her this American has something both Russia and China covet. In the end, all but the American are rescued as a “John Doe” dies beneath the sea waters. Episodes nine and ten set the scene for a potentially taut close to the season. 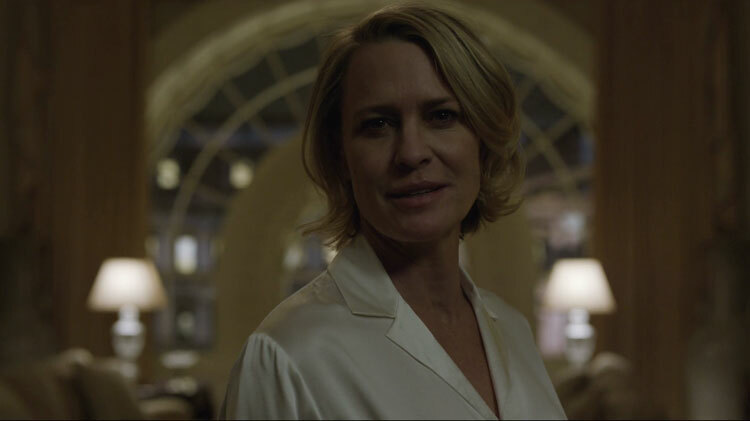 As quickly as the Underwood’s once again assume control, their rule is challenged. And rightfully so. A demoralizing judgment on the state of America’s voting public. We ignored what we saw with our own eyes, and elected a known villain to the very fabric of our democracy. Or, even more disturbing, we elected the very makeup of our sorted existence. Ghosts of the past haunt the current administration, led by a new threat. Burned Congressman Alex Romero resurrects his investigative committee with former President Garrett Walker as its first target. Walker isn’t the only ghost of Frank’s criminal past. Doug falls for Seth’s bait and confronts Lisa Williams. 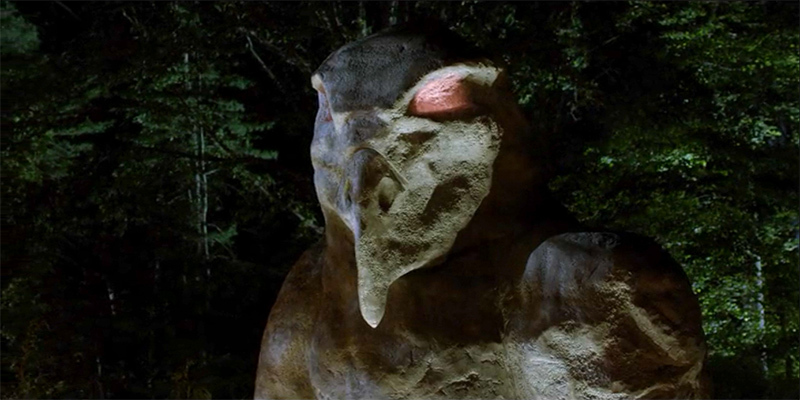 This encounter alerts Tom who has come into possession of Zoe Barnes’ Underwood-furnished tracphone. Meanwhile Sean investigates the mystery behind Frank’s miracle donor liver. These events culminate in Frank and Claire committing regrettable missteps. In a moment of vulnerability, Claire confesses to Tom Yates Frank killed Zoe and Peter Russo. Consumed by ego, Frank meets with Walker before his hearing. Yates promises to keep her secrets; Walker promises to plead the fifth. The latter breaks his promise. This four-episode stretch was brilliant. The terror arc was a touching reminder of the very real threat that’s changed how our world breathes. I personally adore the addition of Davis. Her calm disposition is pleasantly unsettling. I have come full circle with Doug Stamper – from praising his return to Frank’s side, to wanting him to suffer an unjust death. Hopefully within the next three episodes. And RIP to Aidan Macallan. His departure was expected as there’s no happy ending when you cross the Underwoods. Return here for our final season 5 recap soon. If you missed any previous recaps, check them out here on FanBros.com!